Ryan is a communications strategist at Byrum and Fisk working with clients in a wide range of industries. He uses a learn and turn writing style honed by nearly 20 years in broadcast journalism to quickly respond to clients’ needs. 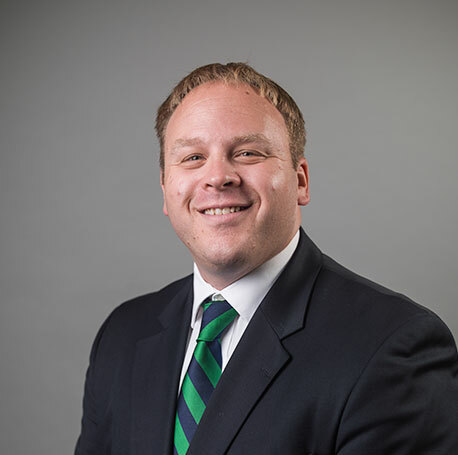 Prior to joining the Byrum & Fisk team, Ryan was the bureau chief for the Michigan Radio Network providing award-winning coverage of the Michigan Legislature to commercial radio stations across the state. While at the Michigan Radio Network, he led the network’s day-to-day coverage of the Capitol and breaking news throughout Michigan. In 2015 and 2016, Ryan was recognized by the Michigan Association of Broadcasters for breaking news coverage, investigative reporting and use of audio in storytelling. Prior to covering the legislature, Ryan was the affiliate relations director for the network where he forged relationships with news directors and reporters at more than 50 radio stations across Michigan. A native of Springfield, Illinois, Ryan lives in East Lansing with his wife and three daughters. Detroit, Lansing, Grand Rapids and beyond.